What if I told you there is a word in Spanish that can mean everything and anything? Would you believe me if I also told you it is one of the most used Spanish words? And better yet… what would you say if I told you that we also have a similar word in English? That’s right: There is a word, both in Spanish and English, that can substitute practically everything. It is like a superhero, able to swoop in anywhere and take over. The tension builds up. You bite your fingernails. You need answers! This magical word is eso (that). Disappointing silence. Crickets chirp. Tumbleweed passes by. I know, I know. You are probably not very excited about this. …Yet! But by the end of this post, you will understand how awesome eso and other demonstrative pronouns are. What is a demonstrative pronoun? Let’s find out! Jokes aside, the information I have just given you about the word eso is 100% accurate. As we will learn in the following sections, eso is one of the Spanish demonstrative pronouns. As a demonstrative, it can refer to things and people, while as a pronoun, it substitutes for nouns. That is why it can mean everything and anything! Imagine this situation: You travel to Spain and go to a street market. You see a beautiful pair of boots but you cannot remember how to say that in Spanish. What do you do? You do as a Spanish speaker would do! You use eso! You pay, he gives you the boots. Mission accomplished! You have started a conversation in Spanish about boots without remembering the word in Spanish. You just needed to point with your finger and say the word eso. Congrats on being a little bit more Spanish! “I’ve left my job. My boss wanted me to work two extra hours for the same amount of money. Isn’t it cool what such a little word can accomplish in just a few milliseconds? Eso (and other demonstrative pronouns) can mean anything! But eso is not the only magical word we can use in order to point at things and let our brains take a short holiday. Spanish demonstrative pronouns can metamorphose and acquire different identities, and this post is all about them. Get ready for the show. You are going to love it! O eso espero (I hope so). Before you embark on your pronoun-filled language journey, make sure you are all packed up and prepared. Just open FluentU, find some videos that use these pronouns and hear them as real native speakers would use them. You will have no trouble finding content here! 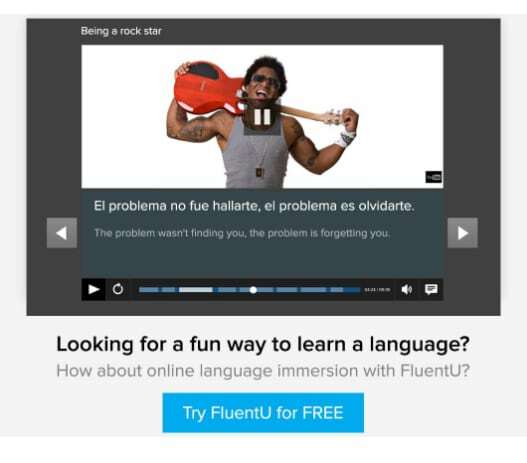 FluentU offers a growing collection of authentic videos, including various clips, movies, music and more—all wrapped up and packaged as personalized Spanish lessons made just for you. 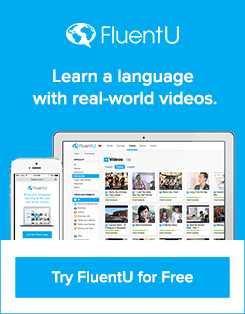 FluentU’s enhanced video player comes with interactive captions: Click any word for an instant definition and native pronunciation or to hear it used in other videos. And you can see your improvement with progress-tracking tools and video suggestions based on what you have already watched. Check it out with a free trial of FluentU! 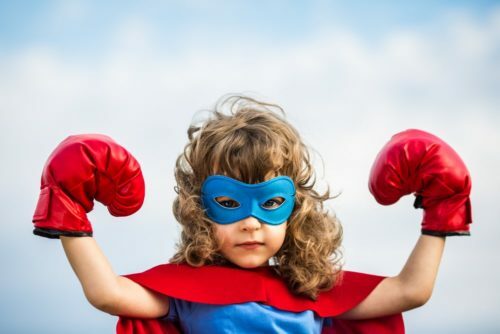 So what exactly are demonstrative pronouns and how do I protect myself against them? There is no need for that, really. Demonstrative pronouns are your friends. You will see. Let’s start by defining demonstratives in general. A demonstrative is a special type of word that lets you refer to people, animals, objects or ideas. It helps you to talk about or identify nouns, and it gives away specific information about them without even having to use them sometimes. Aquellas niñas son mis hermanas. Those girls over there are my sisters. Spanish demonstratives tell you about the proximity of the noun (near, far, even further), its number (singular, plural) and its gender (feminine, masculine, neuter). English demonstratives, on the other hand, are not gender specific, so they only indicate proximity and number. Demonstratives can be adjectives or pronouns. This post will deal with Spanish demonstrative pronouns in depth, but let’s have a quick look at what demonstrative adjectives are and how to use them. Demonstrative adjectives are words that refer or point to someone or something specific. They precede the nouns they modify and, as I have just mentioned, they agree with them in number and gender. As you may have heard several times already, gender is very important in Spanish. Each Spanish noun will be either masculine or feminine, and you need to know that information before deciding which demonstrative adjective you want to use. este libro (this book) → libro is a masculine noun, so we have to use a masculine demonstrative. esa mesa (that table) → mesa is a feminine noun, so we have to use a feminine demonstrative. Another thing demonstrative adjectives are useful for is indicating proximity. You can even use these little words to imply proximity in time. For instance, some morning 50 years ago would be referred as “aquella mañana” (that morning). English has two levels of proximity: here and there. Spanish, on the other hand, has three: here, there and over there. ¿Cuánto cuesta ese coche naranja? How much is that orange car? The price is significantly lower because the color is horrible, but still it seems too expensive for you. Then, you see it. A brown, second-hand car, a little ugly to be called fashionable, yet shiny and interesting. It is on the other end of the building, some 50 meters from you. How do you tell your seller he needs to look further away, instead of just around him? Me gusta aquel coche marrón. ¿Cuánto cuesta? I like that brown car over there. How much is it? You like the price. Congratulations. You now have a car. And have successfully used Spanish demonstrative adjectives. Up until a few years ago, the RAE (Real Academia Española — Royal Spanish Academy) required us to differentiate demonstrative adjectives from demonstrative pronouns by adding an accent mark to the pronouns (este vs. éste — this vs. this one). But a couple of years ago, in what is considered one of the biggest faux pas in the history of the Academy, it decided that the accent marks were no longer needed. There is still an ongoing debate about whether the Academy should go back to making the accent mark compulsory or continue giving us the option of using it or not. Older people, who grew up learning to never forget about the tilde, have a tendency to keep on using it, while younger people and grammar teachers like me prefer to follow the newest grammar rules and forget about it. As I have said a million times, a language is a living organism. It evolves in front of our eyes. It changes. It is true that this little change has nothing to do with the use we make of the language, but rather with the wish of the Academy to finally treat this set of pronouns as what they are: palabras llanas (that is, words having their stress on the penultimate syllable). Be that as it may, a lot of people seem unhappy with this decision, but this is something that should not worry us at the moment. For the purpose of this post, we will be following the official rules: No accent is necessary for differentiating between the demonstrative adjectives and pronouns. That means both demonstrative adjectives and pronouns are written in the exact same way! That just makes our lives a whole lot easier, doesn’t it? Say with me: Thank you, Real Academia! And now, let’s get this party started. The following sections cover the Spanish demonstrative pronouns in depth! Now that we know what demonstrative adjectives are, it is time to learn about demonstrative pronouns. Demonstrative pronouns are also words we use to refer or point to people, animals, objects and ideas. They are different from demonstrative adjectives in that they substitute the noun instead of modifying it. Now, as you will see in the last section of the post, Spanish demonstrative pronouns have three neuter forms (esto, eso, aquello — this, that, that over there), but forget about them for now. You may have noticed just a little difference: since they are pronouns also in English, the translation needs “one” or “ones” accordingly. But apart from that, they are identical. To avoid confusion, please note that the example sentences in the sections below often present first the demonstrative adjective with a noun, and then the demonstrative pronoun. This is because we need to know the noun being replaced, but also so you can see the difference between the two. Stay calm and don’t get confused! We’ve marked the demonstrative pronouns in bold. Spanish has six masculine demonstrative pronouns, two for each level of proximity (one singular and one plural). Este libro es muy interesante. Este es muy interesante también. This book is very interesting. This one is very interesting too. Estos zapatos son bastante cómodos. Estos no. These shoes are rather comfortable. These ones aren’t. Ese teléfono es enorme. Ese es más pequeño. That phone is huge. That one is smaller. Quiero esos globos. Yo quiero esos. I want those balloons. I want those ones. Aquel castillo tiene 700 años. Aquel tiene solo 500 años. That castle over there is 700 years old. That one over there is only 500 years old. He venido a recoger a aquellos niños. Yo he venido a recoger a aquellos tambien. I have come to pick up those children over there. I have come to pick up those ones over there, too. Just like their masculine counterparts, there are six feminine demonstrative pronouns. Esta taza es de Mark. Esta es de Mary. This mug is Mark’s. This one is Mary’s. Estas camisas son rojas. Estas son amarillas. These shirts are red. These ones are yellow. Esa chica es muy guapa. Esa también. That girl is very pretty. That one too. I’m going to buy those flowers. I prefer those ones. ¿Has visto aquella estrella? Y tú, ¿has visto aquella? Have you seen that star over there? And you, have you seen that one over there? Aquellas mujeres están casadas. Aquellas están solteras. Those women over there are married. Those over there are single. Neuter demonstrative pronouns are a little different from the rest of their siblings. Unlike the other demonstrative pronouns, which are used to refer to specific things, these pronouns are used for speaking about abstract ideas as well as statements and nouns whose gender or identity is still unknown to the speaker. Eres sincero. Eso me gusta. You are honest. I like that. ¿Qué es aquello de allí? Neuter demonstrative pronouns are not gender- or number-specific. This is rather logical when the noun is still unidentified. It does not matter if you are pointing to a single piece of fruit or to the whole box. The fruit is unknown to you, so you do not put a number to it and you certainly cannot give it a gender. Once again, Spanish makes your life easier. Just remember that you can only use neuter demonstrative pronouns when you still don’t know the noun. But once you have the information you need, you have to switch to masculine, feminine, singular or plural demonstratives, accordingly. Esto es un melón coreano. This is a Korean melon. Now you know what that fruit is! It is a Korean melon, and since melón is a masculine noun in Spanish, you have to use masculine determiners from this point on. ¿Cuál de estos es mejor? Este se ve más delicioso. This one looks more delicious. And just like that, you have learned two new fruits and learned about the use of the Spanish neuter demonstrative pronouns. Isn’t that delightful? This concludes this comprehensive post about the Spanish demonstrative pronouns. I know there is a lot of information that needs to be absorbed, but I am sure this will be one of those topics you read a couple of times and gets “tattooed” on your brain. After all, English and Spanish use these pronouns in a very similar way.